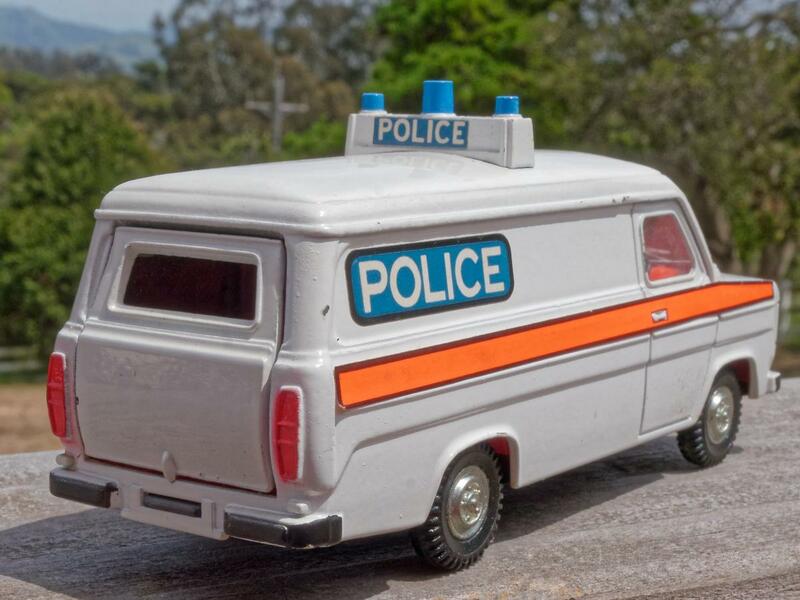 Nice Standard Atlas Ambulance - Nicky Toys, or a repainted Dinky? I thought so, ironically they are far more rare and valuable than the original, despite the lower quality. A good find indeed! 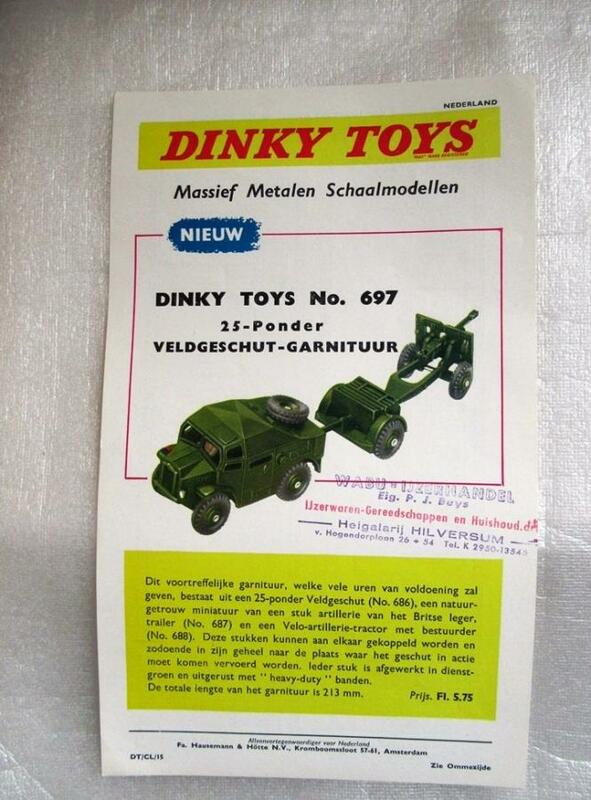 And what about my mixed lot of Dinky Toys? Jan. It is certainly a friendly and collegial gesture. He was aware of the playworn condition and therefore very thoughtful of him to give you also a few jars of paint to restore the models . 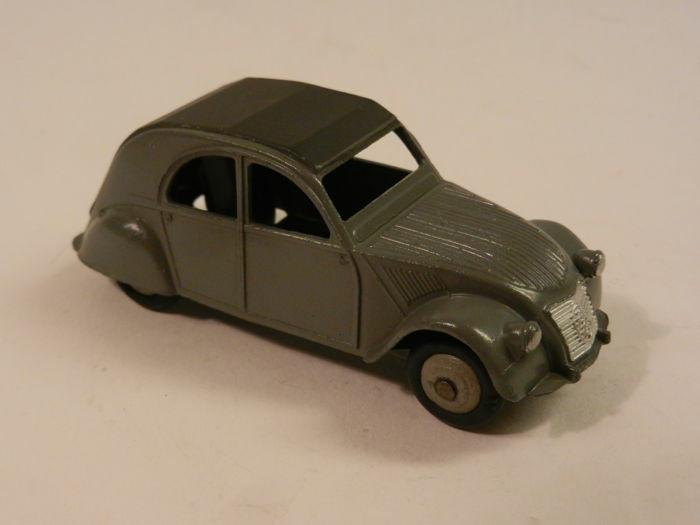 After all, every worn-out Dinky Toys is entitled to a new life and some have the ability to restore them as new. You have proven that you can. I expect to see them back as new again. Speaking of newer Dinky Toys, I forgot to include this one. I had the set it came in already but could not resist adding another at a low price, since this version can't be common. As for the Nicky Toys, I have collected what I can -- mostly acquired prior to the drastically ascending prices -- since they have a certain charm despite the horrible quality. Well Jan, you have quite a collection there! This is how I like to buy my Dinkys - played with but (as far as I can see) essentially sound examples. I don't recognise the blue car with the white roof, next to the paint tins. Is it a Vedette? Hello, it is the French no. 24Z Simca Versailles, issued in 1956. I must admit that the one on the right must have experienced a much more exciting life than its counterpart on the left. Thanks for your response Jan.
What nice friends you have! It's a lovely model that I had not really noticed before and one I shall look out for. I recently bought a repainted Chambord but that's obviously later than this. Yours is in very good condition considering how fragile the quarterlight frames appear. The provenance of both is very different. I bought the excellent one from a collector in Bangkok, of all places ... I visited him there exactly one year ago and I bought about ten lovely models from him, all as far as I could afford, of course. He hoped to sell many more to me. And the play-worn example, yes, I got so many for free in the course of time from colleagues and friends. On the one hand my colleagues thought I was mad, playing with Dinky Toys (as I am indeed), but on the other hand they admired my perseverance with this odd subject. This man was the head of the manuscripts department, the same as I was the head of the early maps and atlases department. We often called ourselves with some self-mockery 'waste-paper specialists'. Interesting to know your related profession and interest (that is, besides Dinky Toys!). It has been almost 5 months since I made a contribution to the New Arrivals topic. 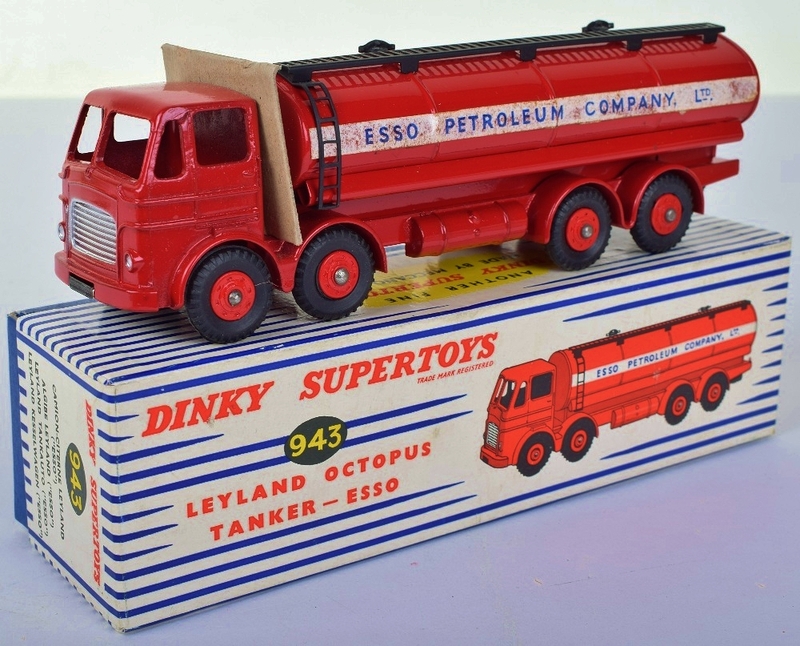 1) 943 Leyland Octopus Tanker "ESSO" - the final version with plastic hubs and paper side transfers. 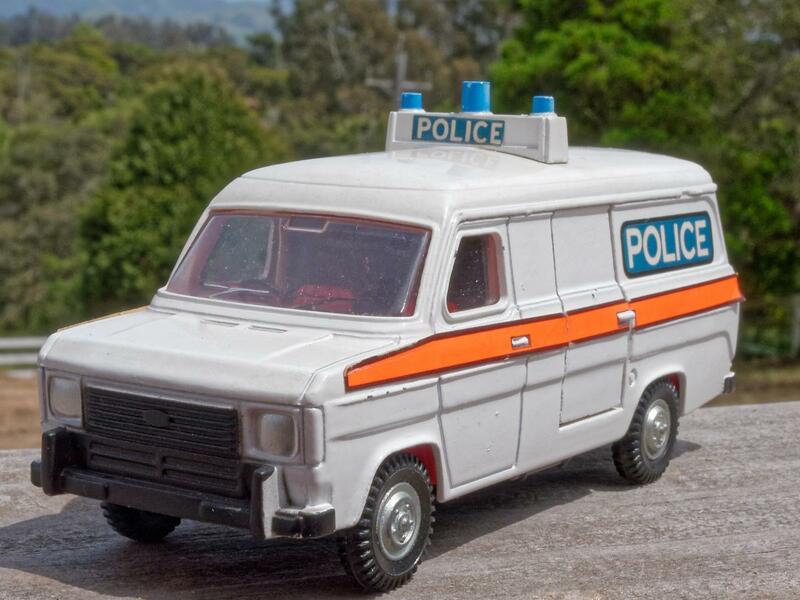 I would like to say the model is totally mint, except unfortunately, it has four minute chips, three on the tank and one on the edge of a rear mudguard - but one has to look very closely to see them, fortunately. The box displays very little damage, and it still has the small cardboard retainer to stop the model rubbing on the box lid. 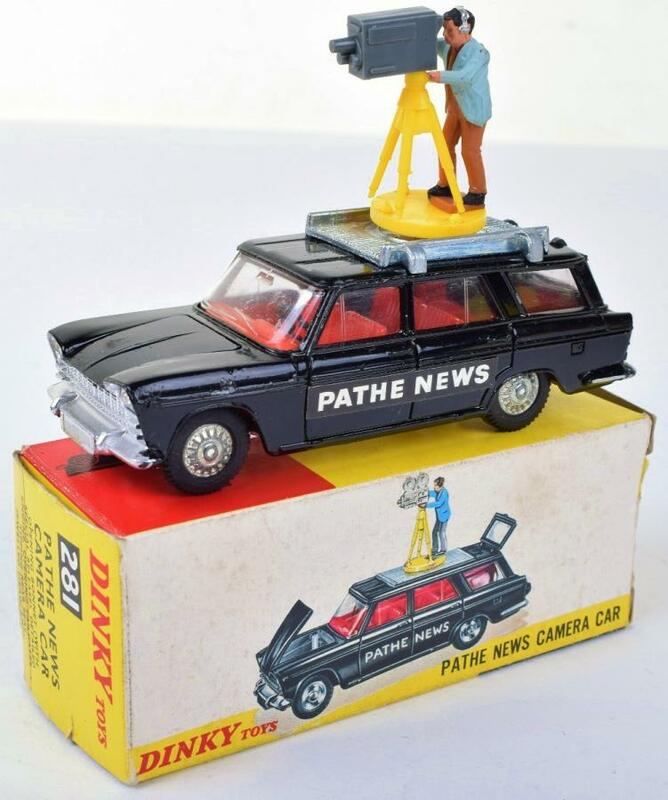 2) Pathe News Camera Car - another example in new mint condition with camera, tripod, attachment, and cameraman with brown trousers. (To go with my other example with black trousers.) This is a modified 172 Fiat 2300 Station Wagon. I am delighted with both these new arrivals! 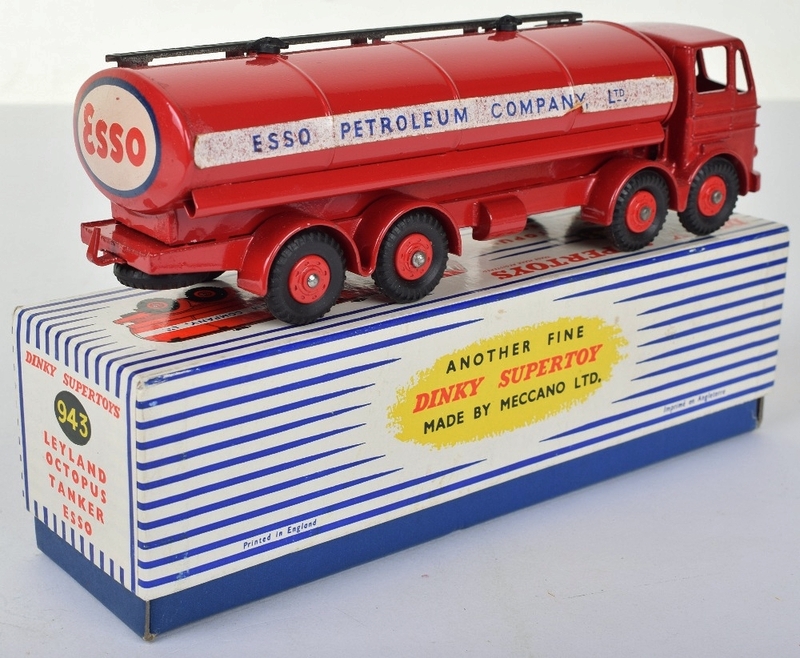 This lot contained four Dinky Toys mounted on a wooden plinth that according to the auctioneer was used by salesmen from the Parodi Family who were the Meccano agents in Italy. The 198 is not in good shape, with some of its sliding windows missing, and the seats and drivers are loose inside. The wooden base has also seen better days. This item appears to be an ashtray, or as a receptacle for the family car keys. 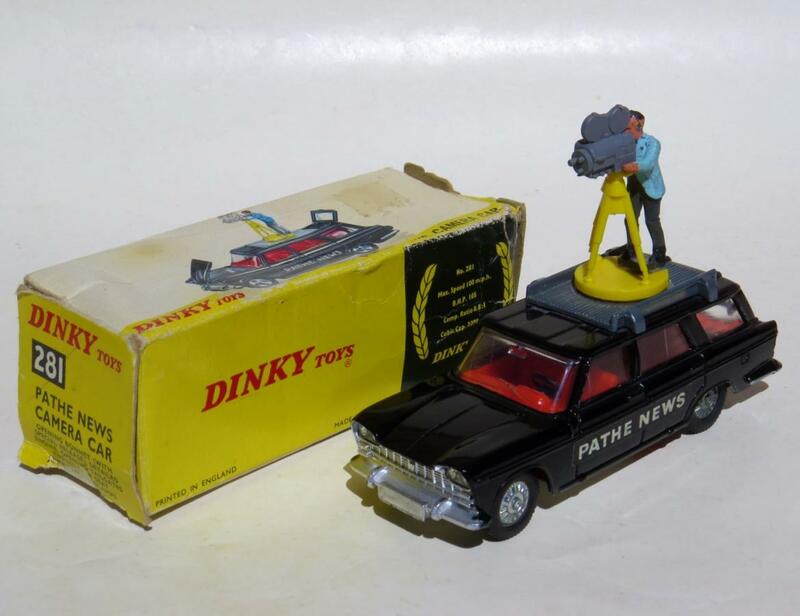 I like very much the Pathe news camera car. I have this one with the cameraman in brown trousers and I am looking for the one dressed in grey ! It's the first version with smooth ceiling and only one rear light but the hubs are not in cream colour but in "mastic grey" as the Ford Vedette ref.24Q. Yes Richard. That's a very nice color leaflet (CL) that you got with the model. Most referring to the last page of the Meccano Magazine or images from MM. There are a total of 32 publications with reference DT / CL / 1 to DT / CL / 32 in different languages. I only have the Dutch versions and I only miss a few. 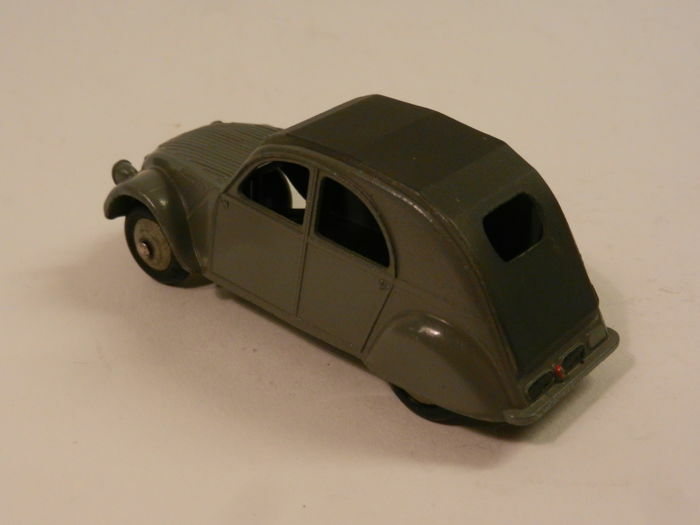 Indeed, the 1st version of the Citroen 2CV with grey hubs is very difficult to find, especially in such a good condition. Congratulations on this beautiful addition, complete with color leaflet. I show the last Dutch CL of this series with ref. DT / CL/ 32. Thanks for your comments on the 281 Pathe News Camera Car.. The model "sort of grows on one" after a while! It goes to show how Meccano was always on the lookout to get the best value out of the making of a model's mould and they certainly did it with this model. I have had an example with the cameraman wearing dark grey trousers for some time now. They are not that plentiful, although at one stage, I saw at least three on three different auction sites at the same time! For some reason, the cardboard used by the company contracted by Meccano must have been sub-standard at this time, as most boxes with end flaps in this era, always has problems with the end flaps. Nice trade box! I think I have seen it on eBay, containing a brown LC with red wheels, which is very uncommon indeed. I am glad you bought it, it went to a good home! Yes, I would be very interested in buying it from you. Love these unusual varations! 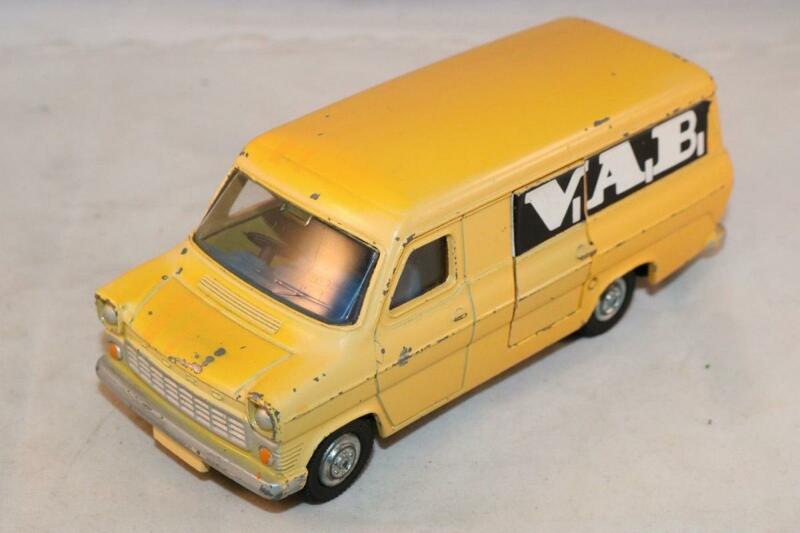 This Transit van arrived today from a seller in the Netherlands -- I'm being lazy and using the seller's pictures, though this weatherbeaten model looks a little nicer "in person." I'm wondering if anyone can shed light on this variant. 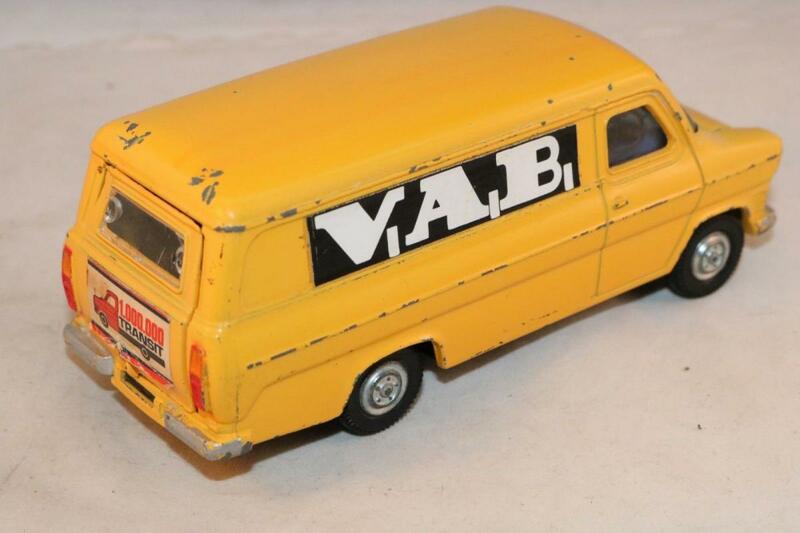 I can't see any sign that the "1,000,000 Transit" stickers that would normally be on the sides are still under the V.A.B. stickers, or that they had been removed, but who knows? 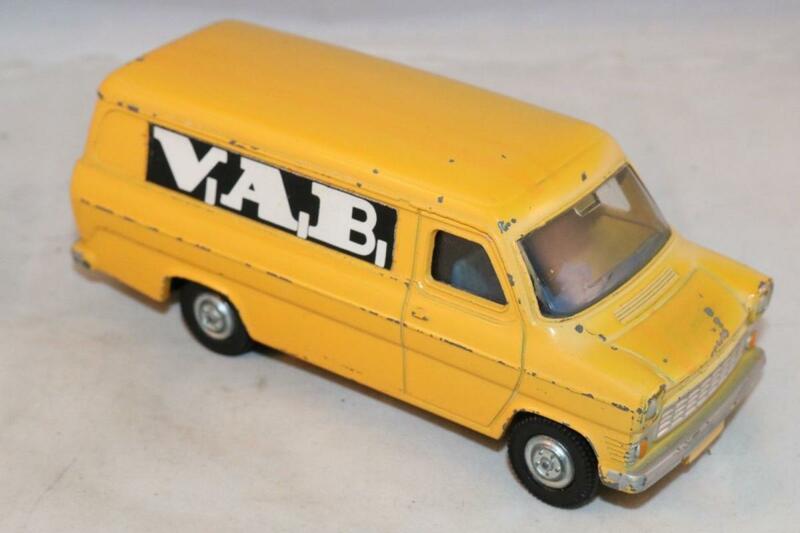 Meantime, the only possibly relevant V.A.B that I can trace is a Belgian breakdown service company (similar to the AA or RAC), but I haven't been able to located photos confirming that this was their livery in the 1970s. 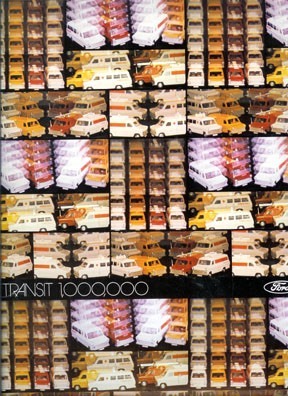 Also of 1,000,000 Transit interest, I'm attaching a small photo of a contemporaneous Ford Press Kit (found on a Transit Fan Club site, and sadly not available in higher resolution). 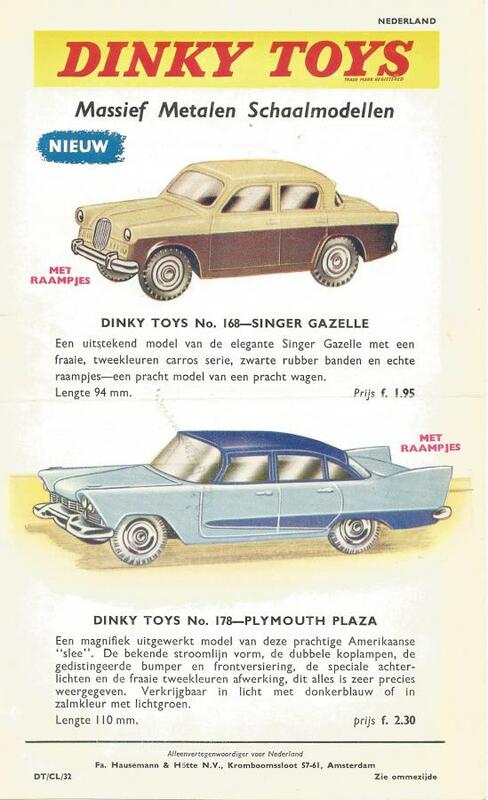 As can be seen, this official Ford brochure used a variety of Dinky Toys for illustration! V.A.B. stands for: Verenigde Automobiel Bedrijven which was the collective name for the Ford (Entam) dealers in and around Amsterdam. My father used to work there. Thank you, Ton — that explains the model nicely! Nice model Jon and very uncommon. - two Peugeot 204. One is in a very pale metallic colour situated between a grey and a green, very far of the traditional metallic green. Both are in the first version livery : smooth ceiling and petrol cap on the right rear wing. The Houten Fair, last Saturday 31 March, was very busy. Many of those present reported good sales and/or acquisitions. And so can I, in a modest way. 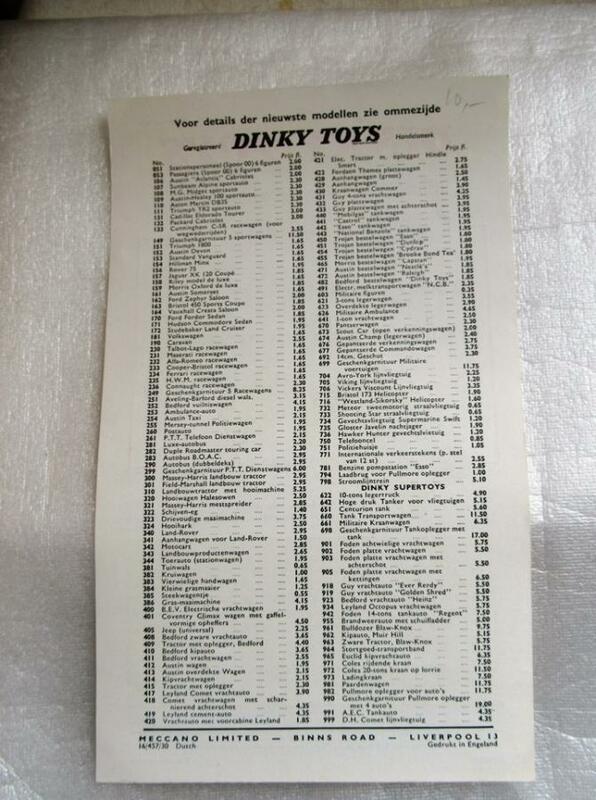 I sold the 30+ play-worn Dinky Toys (see #906, above) in one batch, and several other items too, among them one to Vincent Espinasse of L'Auto Jaune in Paris. Besides, Rob definitely bought my fawn/red wheels Luxury Coach, the stranger to be replaced in my trade box - to the satisfaction of both of us. Nice Studebaker Jan. I will add some photos soon in the right topic. a military Bedford and a Ford Thunderbird green and black. I did not try the rear light yet. Very nice adds Richard. I was able to buy that Bedford Army Truck, like new, from H.Hudson Dobson, in 1959. Not very common, especially in Europe as it was an export only item, like the companion Austin Army Truck. Late versions of the Ford D800 (Johnston Road Sweeper) also received rectangular headlights and a grille that could be painted either silver or the more up-to-date black. I would not be surprised if it was Ford money that paid for the retooling of both models. Very interesting to see that, as you know, it is well outside my personal collecting era. 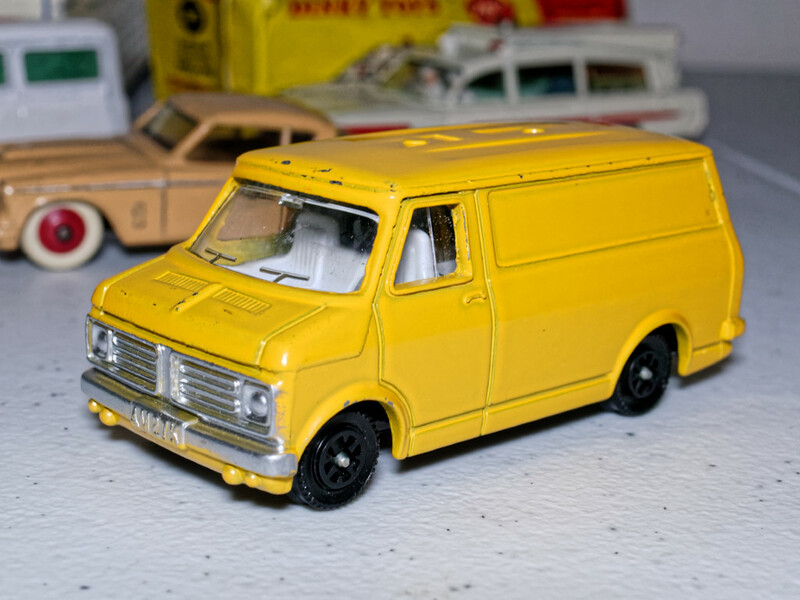 So these were close to the end of the line for Dinky Toys.....these models seem to be well proportioned and nicely detailed, even though the clock was running out. 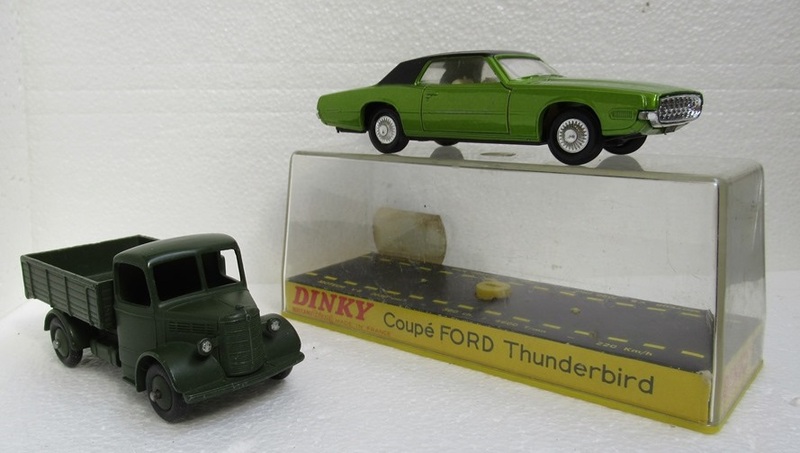 What an interesting evolution diecast model making underwent in just a few short years!